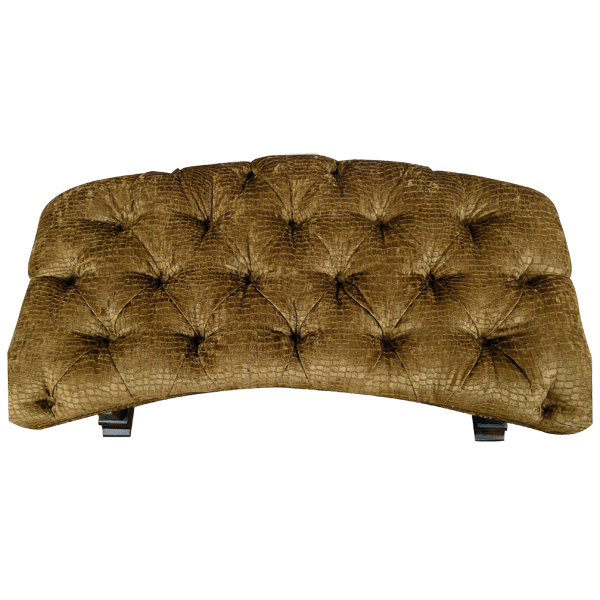 With its spectacular upholstery and lovely, button tuft design, this fabulous, handcrafted bench will bring elegance and sophistication to your hallway, your entryway, or the foot of your bed. 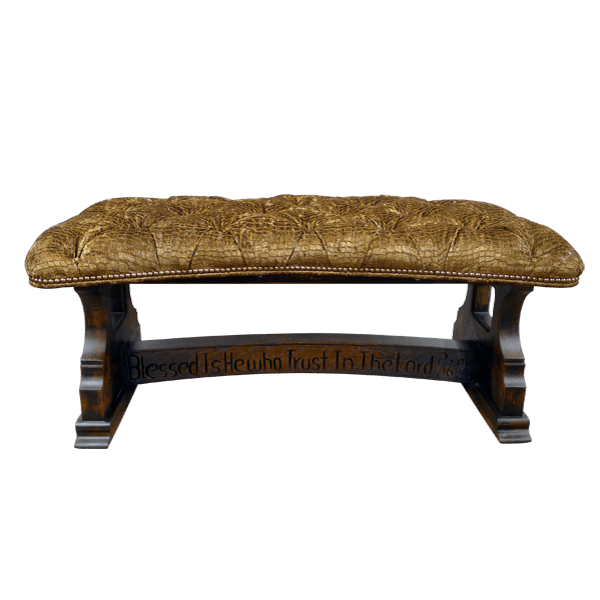 The bench has a radiant, curved seat, and the seat is upholstered with gold, textured, full grain leather, and the leather has a magnificent, button tuft design. The upholstery is precision hand tacked to the frame with luminous, decorative, gilt nails. The bench rest on gorgeous, solid wood, staggered legs, and the legs are connected by a graceful, curved crossbar. The crossbar is embellished with hand carved designs. The bench has a classic, dark finish, and it is made with the best, sustainable, solid wood available. It is 100% customizable.